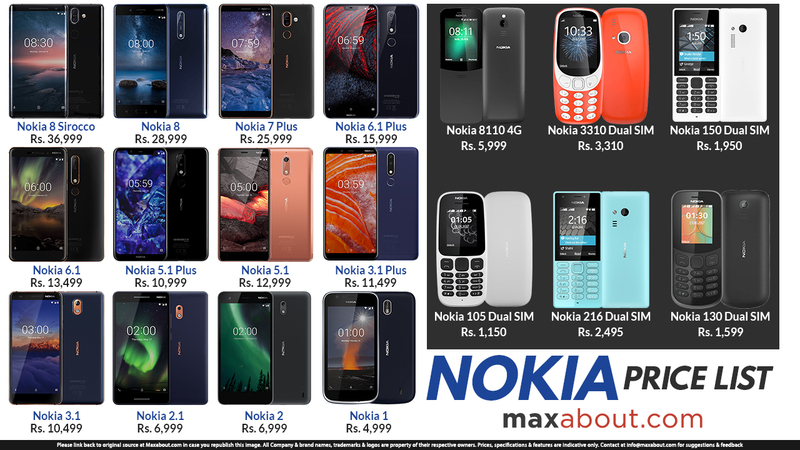 Nokia made a successful comeback with a complete lineup of products, starting right from INR 4999 for the smartphone range and INR 999 for the basic Nokia 105. The number of phones available may not be as large as Samsung but, they have effectively filled the gaps between various devices. The flagship Nokia 8 Sirocco costs INR 36,999 while those looking for a bigger display can consider Nokia 8 for INR 28,999. Nokia 7 Plus is priced in the similar bracket at INR 25,999 while a sudden drop comes when a buyer considers Nokia 6.1 Plus (INR 15,999). Those looking for a smaller display can get their hands on Nokia 6.1 for INR 13,499. Nokia follows the same nomenclature for all phones and adds Plus variant for larger displays and more power. The basic phone range has Nokia 3310, 150, 105, 130 and 216 in the lineup. The legendary 3310 is priced at an attractive INR 3310 price tag.